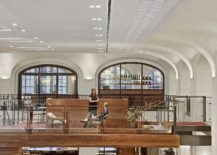 The bright lights and iconic skyscrapers of Manhattan are all too easily recognizable for anyone who knows and loves New York City. 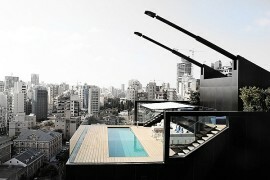 And many of these tall buildings contain homes, apartments and offices that are anything but mundane. 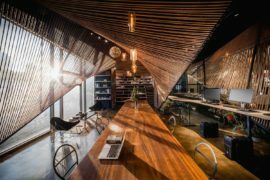 Gorgeous, unique and exceptional, the Hill Office designed by Andrew Franz Architect is one such space where everything seems to come together in a picture-perfect fashion. 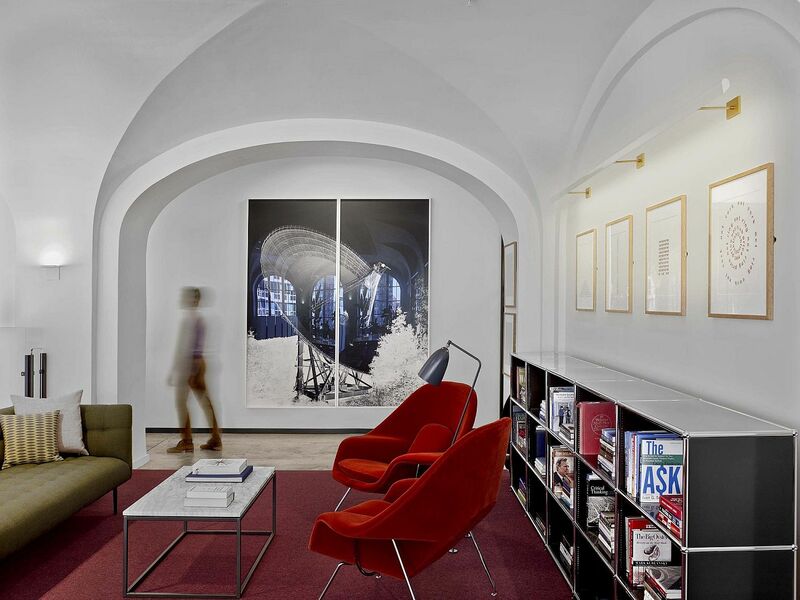 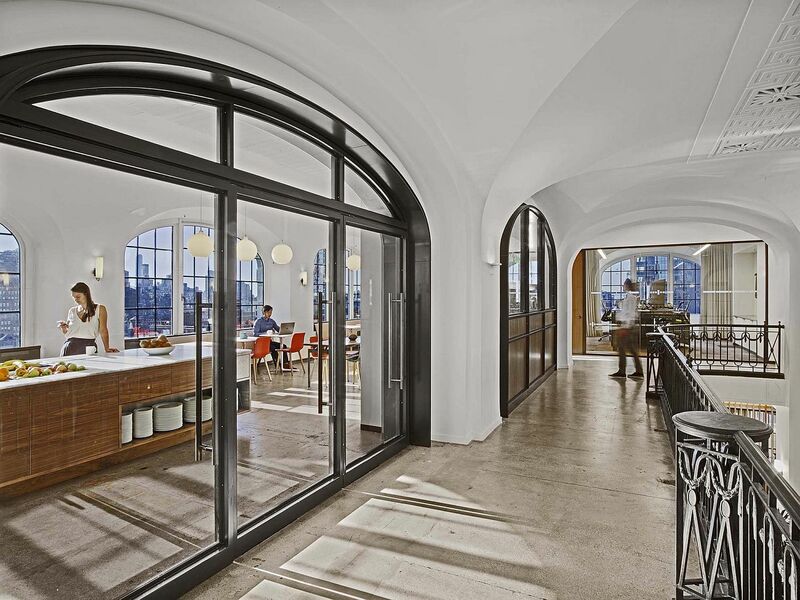 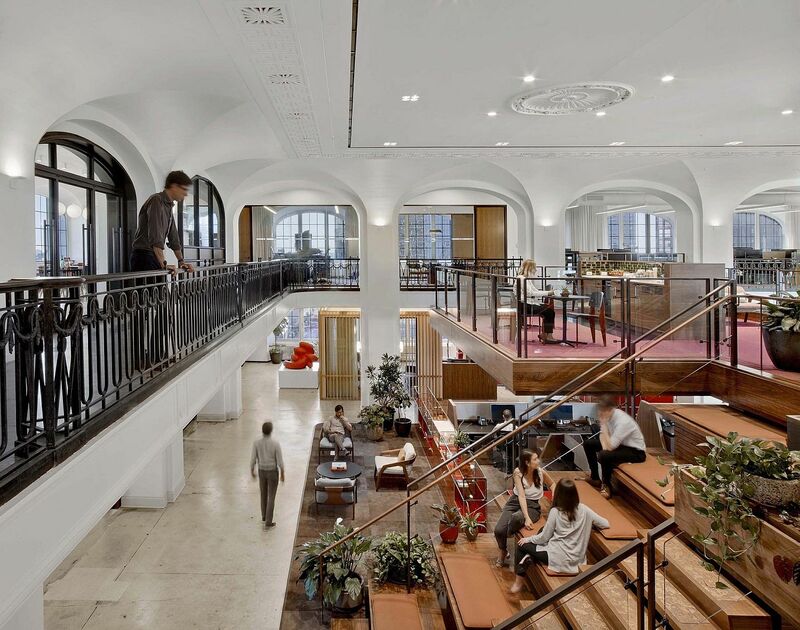 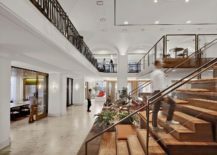 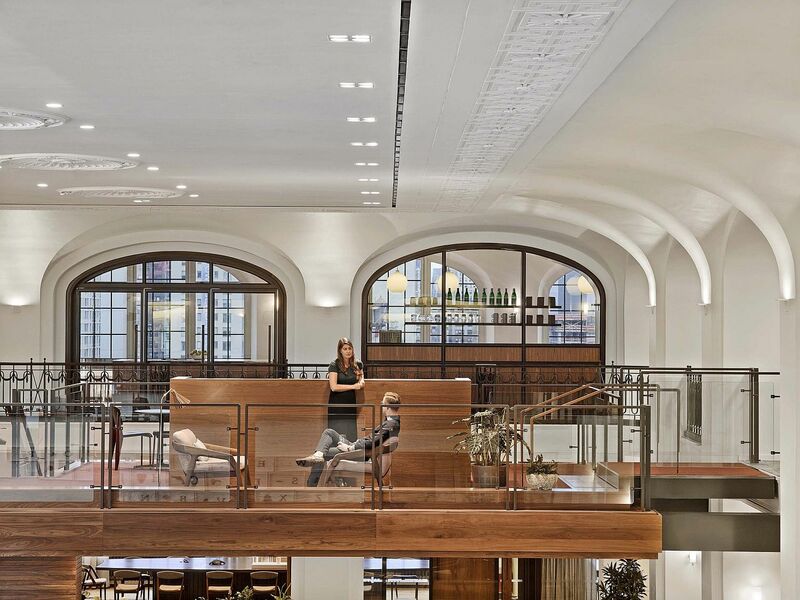 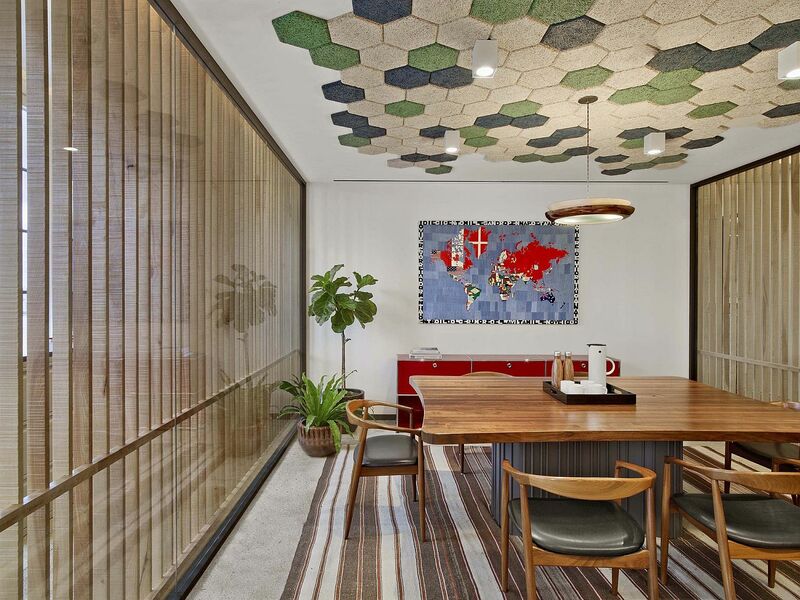 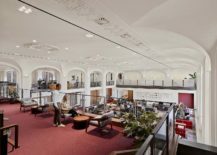 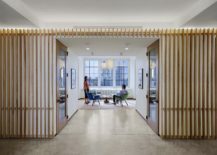 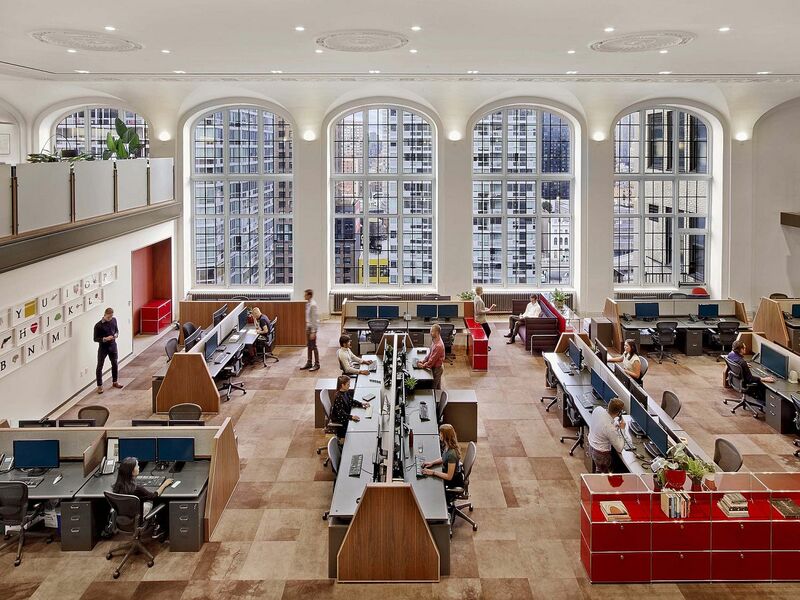 This mesmerizingly beautiful modern office was a former publisher’s executive suite in a 1913 Beaux Arts building in the region and it has been now transformed into a bustling workspace where the old and the new meet in a seamless fashion. 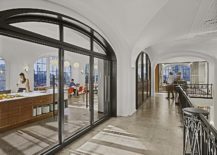 The sweeping windows of the suite; a feature that you just cannot miss, have been carefully preserved much like the many arches and intricate design features inside the unit. 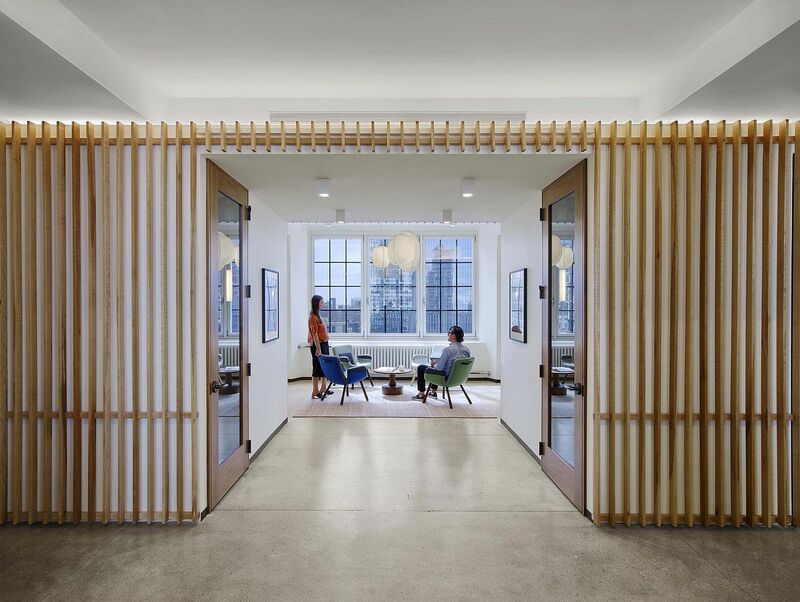 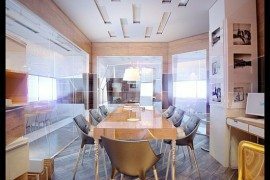 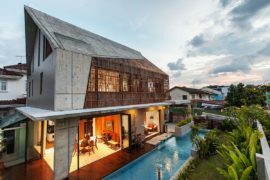 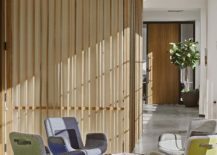 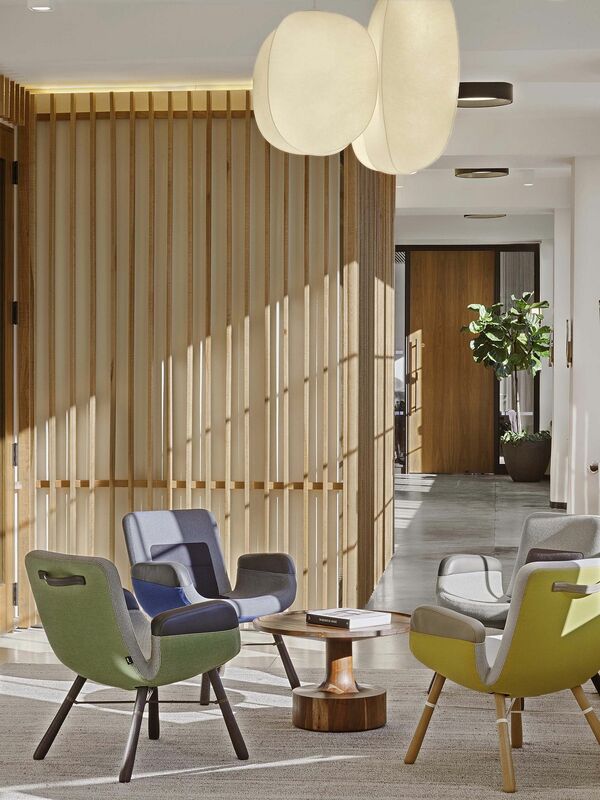 These not only take you back to the roots of the building, but also bring in ample natural light even as custom wooden louvers added to the office control the sunlight. 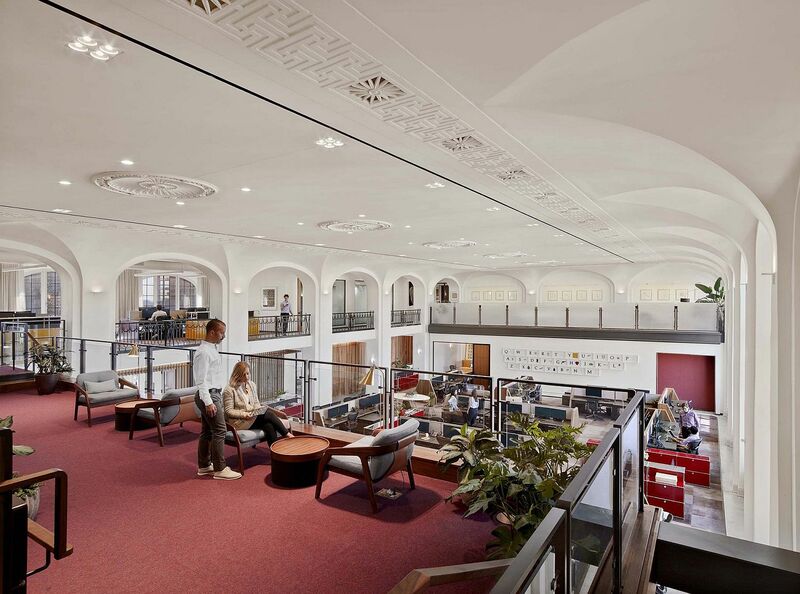 Unnecessary partitions inside the office were done away with to create a large, open work area while the mezzanine level with floating bridge has been expanded to provide additional square footage. 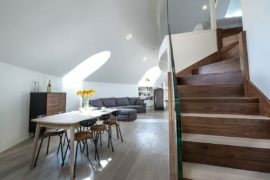 RELATED: This Awesome London Penthouse Sits Inside a Revamped Orthodox Church!